Activity data accumulated in real life, e.g. in terrorist activities and fraudulent customer contacts, presents special structural and semantic complexities. However, it may lead to or be associated with significant business impacts. For instance, a series of terrorist activities may trigger a disaster to the society, large amounts of fraudulent activities in social security program may result in huge government customer debt. Mining such data challenges the existing KDD research in aspects such as unbalanced data distribution and impact-targeted pattern mining. 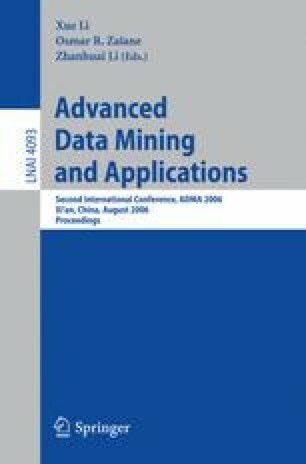 This paper investigates the characteristics and challenges of activity data, and the methodologies and tasks of activity mining. Activity mining aims to discover impact-targeted activity patterns in huge volumes of unbalanced activity transactions. Activity patterns identified can prevent disastrous events or improve business decision making and processes. We illustrate issues and prospects in mining governmental customer contacts. This work is sponsored by Australian Research Council Discovery Grant (DP0667060), China Overseas Outstanding Talent Research Program of Chinese Academy of Sciences (06S3011S01), and UTS ECRG and Chancellor grants.